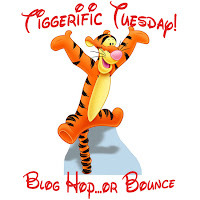 That Disney Blog: Blog Hops! Along with my weekly Disney photo theme, I like to blog hop with these great bloggers. It's a great way to meet new Disney friends!